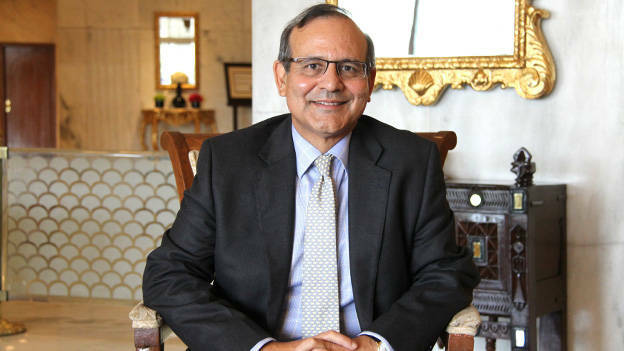 Leo Puri is the Managing Director of UTI Asset Management Co. Ltd. In his extensive career spanning more than 30 years, Puri has worked as Director and Senior Advisor with McKinsey & Company and as Managing Director with Warburg Pincus. He has extensive experience of leading strategy and transformation engagements in the context of economic reforms and deregulation, which includes the largest public and private sector financial institutions in India. Puri has also held non-executive board positions in Infosys, Bennett Coleman & Co., Max New York Life and Max Bupa Health Insurance. He is also the Chairman of Association of Mutual Funds in India. What have been some of the key learning moments of your career so far? As a management consultant with McKinsey, I learnt what it meant to be a trusted advisor, which requires problem synthesis and the ability to develop an independent point of view based on facts and first principles. It teaches you that ultimately what matters is the quality of your recommendations and the necessity to synthesize things to reach a conclusion. You can’t leave things hanging in the middle because you are under pressure of time or other constraints. You need to have the ability to stand back with an appropriate level of detachment to hear different points of view, to balance different data and facts and still force yourself to a conclusion. I also worked as an investment professional at Warburg Pincus which gave me a very different perspective into how as a shareholder, one has to define priorities, work with promoters or entrepreneurs whose views may be quite different from other shareholders, but who are very focused on creating value and you have to respect them even if you don’t agree with them. More recently, as a CEO of a large enterprise undergoing transformation, I have had the opportunity to put some of those learnings into practice and develop as a professional. So I am both learning as well as hopefully contributing to the process. You have worked in various roles. How difficult is it to be a CEO? What additional level of competency has this role provided you that you didn’t have before? A CEOs role is both challenging and satisfying. To be a CEO is an opportunity for leadership, to test one’s mettle, to demonstrate whether or not one has the ability to make a contribution to an organization that stands for something. In that sense, it is a privilege. You have to often see your role as that of a temporary custodian – the institution is not yours but you are its custodian and in that, leadership matters tremendously. It matters even more when you are going through a change process, which makes it a privilege that has to be exercised with a great degree of responsibility. Of course there are challenges associated with that because it’s not enough to win an argument or to simply be right. Ultimately, what matters is whether or not you communicate what you are trying to do, align the forces around you to be supportive of that and carry along people who are often going to be opposed to you for a variety of reasons. Those are very testing challenges and you cannot walk away. You need to actually face and resolve them on a daily basis. You focused on what you learnt as an advisor/consultant – from building judgment and taking things to conclusion. What did you learn from entrepreneurs that has been really useful to you? I think what defines and distinguishes an entrepreneur from the others is the ability and willingness to take risk. It is the willingness to put their lives and capital at risks in order to achieve anything. It is easier said than done and many professional managers find that quite difficult. When push comes to shove, there is a tendency to play it safer, but I think one has to learn that a level of conviction is essential, and more so at a time of transformation when one is trying to lead a stable organization. I do believe that on a daily basis, one needs to take the risk of testing the environment that you are in. You will not be able to take the same risks as an entrepreneur would, but at least you will learn some of the tricks around calibrated risk taking, which is essential. What was the mandate for you two years ago and what is it now? Where are you in that journey and what has been the people strategy in executing that change? The mandate was essentially to accelerate the process of change that has been underway for some years, which is to build a well-functioning meritocracy that can compete with the competitors within India as well as on a global level. So we had the need to build a kind of culture, a governance system and a talent pool that could effectively compete. It is essentially what we are trying to do. We started with a lot of strengths – a strong brand, a strong legacy, people who are loyal and committed to the organization, partners in the form of distributors and other important assets. But of course we also carry legacy challenges associated with cultures of hierarchy and entitlement and a challenge around attracting the best of the brightest young talent today, given the alternative opportunities they have. I think those are the shifts that really need to happen along with the way an institution operates at a market place. Each of these is in the process of being addressed. We are thinking very hard about meritocracy and diluting entitlement as growing old in an organization or seniority cannot be the only defining suitability criteria for a role. I think building a sense of ownership or a sense that one will be valued for what one has done or contributed, as opposed to just being entitled to a reward or promotion is integral. These are all very important shifts in thinking. I genuinely believe that this shift is much more about creating opportunities and demonstrating that these opportunities will create leaders, who in turn will progress in the organization. That is how you build a meritocracy - when employees start to recognize that their peers are succeeding based on criteria they can respect and understand. How has that internal change process of leveraging opportunities for building a culture of meritocracy affected UTI as an employer brand? One of the ways we succeeded was that we brought in good people – Head of HR, Head of Sales and Marketing from outstanding institutions – who essentially came to us because they understood that we offered the opportunity to be a part of change in an organization that has a good chance of success. Along with this, there was and is visibility to this success. Over the last 12-24 months, there have been plenty of occasions where self-belief and self-esteem of the organization has been strengthened based on evident success around some of the measures that have been and are being taken. There is success in the marketplace, success in terms of temperament and morale and in the brand. Success starts to show in terms of recruits that you begin to attract. So it is very important to taste success, build it, celebrate it and keep moving forward. Looking ahead, what is your big rock in 2016 from the talent perspective? Our number one priority is to engage and optimally utilize the talent we have. Today we have people with tremendous amount of experience and domain knowledge who are in the process of adjusting, as we all are, to the new environment, new challenges and new expectations that are being placed on them. Therefore supporting talent in transition is critical and building on their strengths as opposed to underlining their weakness is our priority on which we are truly focused. Alongside that, we need to attract new talent, especially the younger generation who are energetic; and also selectively hire people with specialized skills or domain knowledge. In addition to this, the role of the HR function as a strategic partner to the CEO is also very critical because you are transforming various organizational elements like compensation processes or performance processes, or redefining other elements which also signal culture change. Therefore the presence of a strong HR in carrying out such transformation practices is crucial.